Security environments become more complex as companies of all sizes defend themselves against new and varied threats. With these new threats come new security solutions, new vendors, costly new hardware, and increasing complexity. As IT comes under increasing pressure to do more with existing hardware and human resources, this approach becomes increasingly unacceptable. Check Point's Software Blade architecture offers a better way, enabling organizations to efficiently tailor targeted managed solutions that meet targeted business security needs. All solutions are centrally managed through a single console that reduces complexity and operational overhead. And as new threats emerge, Check Point's Software blade architecture quickly and flexibly expands services as needed without the addition of new hardware or management complexity. The Check Point Software Blade architecture is the first and only security architecture that delivers total, flexible and manageable security to companies of any size. With this unprecedented capability, Check Point Software Blades deliver lower cost of ownership and cost-efficient protection that meet any network security or endpoint security need, today and in the future. What is a software blade? A software blade is a logical security building block that is independent, modular and centrally managed. Software Blades can be quickly enabled and configured into a solution based on specific business needs. And as needs evolve, additional blades can be quickly activated to extend security to an existing configuration within the same hardware foundation. Manageability - Enables fast deployment of security services. Increases productivity through centralized blade management. How are Check Point Software Blades deployed? Software Blades can be deployed on Check Point UTM-1 and Power-1 security appliances, open servers, within virtualized environments, and on endpoints. New blades can be added simply by enabling their functionality in software; no additional hardware, firmware or drivers are necessary. This enables organizations to deploy security dynamically, as needed, with lower total cost of deployment. Check Point's Software Blade Architecture enables customization of tailored systems or quick selection of predefined turnkey solutions. 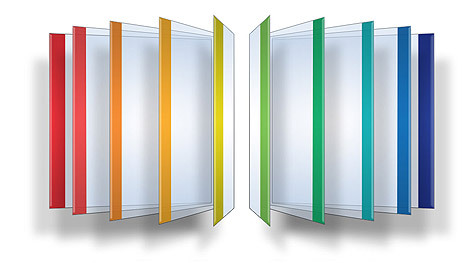 There are three varieties of Software Blade Containers; Security Gateway Containers, Endpoint Security Containers and Security Management Containers. Each Security Gateway Container comes with all of the necessary services required to run the software blade environment along with the Check Point Firewall blade which provides Check Point's patented and award-winning FireWall-1® technology. 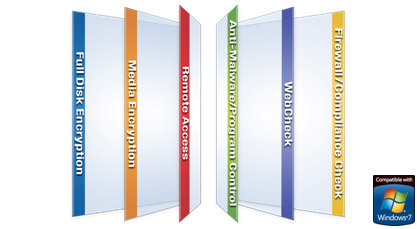 Each Endpoint Security Container comes with the Firewall / Compliance Check Software Blade. Full Disk Encryption - Automatically and transparently secures all information on endpoint hard drives. Multi-factor pre-boot authentication ensures user identity. Media Encryption - Provides centrally enforceable encryption of removable storage media. Port control enables central management of all endpoint ports, including centralized logging of port activity. Remote Access - Provides users with secure, seamless access to corporate networks and resources when traveling or working remotely. Anti-Malware / Program Control - Efficiently detects and removes malware from endpoints with a single scan. Program Control assures that only legitimate and approved programs run on endpoints. WebCheck - Protects against the latest web-based threats including drive-by downloads, phishing sites and zero-day attacks. Browser sessions run in a secure virtual environment. Firewall / Compliance Check - Proactive protection for inbound and outbound traffic prevent malware from infecting endpoint systems, block targeted attacks and stop unwanted traffic. Firewall - World's most proven firewall secures more than 200 applications, protocols and services featuring the most adaptive and intelligent inspection technology. IPsec VPN - Secure connectivity for offices and end users via sophisticated but easy to manage Site-to-Site VPN and flexible remote access. Mobile Access - The safe and easy solution to connect to corporate applications over the Internet with Smartphones or PCs. Application Control - Provides strong application and identity controls by allowing organizations to create policies which identify, block or limit usage of thousands of applications, based on user identity. Identity Awareness - Provides granular security policy at a per user, per group and per machine level. It centralizes the management, monitoring and reporting of user actions across the internal network, its perimeter and beyond. Web Security - Advanced protection for the entire Web environment featuring the strongest protection against buffer-overflow attacks. URL Filtering - Best-of-breed Web filtering covering more than 20 million URLs protects users and enterprises by restricting access to dangerous Web sites. Anti-Spam & Email Security - Multi-dimensional protection for the messaging infrastructure stops spam, protects servers and eliminates attacks through email. Advanced Networking - Adds dynamic routing, multicast support and Quality of Service (QOS) to security gateways. Acceleration & Clustering - Patented SecureXL and ClusterXL technologies provide wire speed packet inspection, high availability and load sharing. Voice over IP - Advanced connectivity and security features for VoIP deployments, featuring enhanced Rate Limiting protections, Far end NAT and inspection of SIP TLS. Endpoint Policy Management - Centrally deploy, manage, monitor and enforce security policy for all endpoint devices across any sized organization. SmartWorkflow - Provides a formal process of policy change management that helps administrators reduce errors and enhance compliance. Monitoring - A complete view of network and security performance, enabling fast response to changes in traffic patterns and security events. User Directory - Enables Check Point gateways to leverage LDAP-based user information stores, eliminating the risks associated with manually maintaining and synchronizing redundant data stores. SmartProvisioning - Provides centralized administration and provisioning of Check Point security devices via a single management console. SmartReporter - Turns vast amounts of security and network data into graphical, easy-to-understand reports. SmartEvent - SmartEvent translates security information into action. To help ease configuration, Check Point has developed several pre-defined bundles composed of a container and software blades. SM1003 and SM1007 security management system. Series 200 - A cost-effective security platform for mid-size companies and offices. 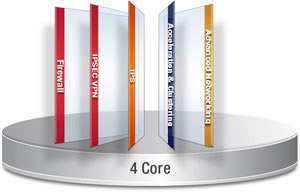 A 2 core system, limited to 500 users or unlimited users and recommended up to 12 ports. Series 400 - Designed for environments that demand high performance. 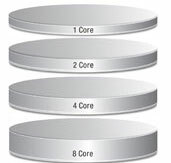 Ideal for the large campus networks and data centers, it is optimized for an 8 core system.It is optimized for 8 core system. Series 800 - Designed for the most demanding highest performance environments, the Series 800 security gateway is ideal for the large campus and data center. It is optimized for 8 core system. SG807 Firewall, VPN, IPS, Application Control, Identity Awareness, Advanced Networking, Acceleration & Clustering High-performance security gateway for demanding performance environments. Series 1200 - Designed for the most demanding highest performance environments, the Series 800 security gateway is ideal for the large campus and data center. It is optimized for 8 core system. SG1207 Firewall, VPN, IPS, Application Control, Identity Awareness, Advanced Networking, Acceleration & Clustering Highest-performance security gateway for the most demanding performance environments. SM1003 Network Policy Management, Endpoint Policy Management, and Logging and Status Ideal entry level central security management solution for small organizations. SM1007 Network Policy Management, Endpoint Policy Management, Logging and Status, Monitoring, IPS Event Analysis, SmartProvisioning and User Directory Ideal entry level central security management solution for small organizations with advanced requirements. SM2506 Network Policy Management, Endpoint Policy Management, Logging and Status, Monitoring, IPS Event Analysis, SmartProvisioning and User Directory Ideal entry level central security management solution for small organizations with advanced requirements. SMU003 Network Policy Management, Endpoint Policy Management, and Logging and Status Industry leading central security management solutions for large enterprises. SMU007 Network Policy Management, Endpoint Policy Management, Logging and Status, Monitoring, IPS Event Analysis, SmartProvisioning and User Directory Industry leading central security management solutions for large enterprises with advanced requirements. SMV308 Network Policy Management, Endpoint Policy Management, Logging & Status, Monitoring, IPS Event Analysis, SmartProvisioning, Management Portal and User Directory Check Point Provider-1 Enterprise Edition brings a highly scalable multi-domain management solution to high-end enterprise customers. That shares global objects and policies across the security domains. SMV508 Network Policy Management, Endpoint Policy Management, Logging & Status, Monitoring, IPS Event Analysis, SmartProvisioning, Management Portal and User Directory Check Point Provider-1 Enterprise Edition brings a highly scalable multi-domain management solution to high-end enterprise customers. That shares global objects and policies across the security domains. Download the Check Point Software Blade Architecture Brochure (PDF). A software blade should be attached to a Security Gateway or Security Management container in order to be licensed. License of the Check Point SmartWorkflow blade is per number of gateways managed by the Security Management system (and not per cluster or per site). EVS-C1000 and EVS-C2500 come with one correlation unit. EVS-CU000 comes with four correlation units. Acceleration & Clustering blade is required only for Load Sharing Security Gateway Clusters. The blade must be placed on all cluster members. High Availability configuration of Security Gateway Clusters doesn't require this blade. No special blade or license for Security Management High Availability. 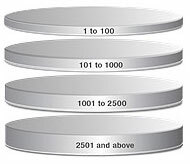 Note that in Management in High Availability both management servers are require to have the same container size and the same software blades configured. SmartReporter and SmartEvent blades are bundled together and cannot be purchased separately. 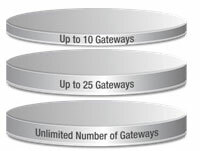 Additional managed gateways for SmartReporter and SmartEvent should be purchased using CPSM-C500 SKU. SmartEvent Intro blade provides centralized SmartEvent and management for the IPS, DLP or Application Control blades. Additional management blades (such as SmartProvisioning) added to a multi-domain system apply to all management domains. The Global Policy software blade can be installed only on "standalone" Management Servers (and not on servers running Security Management and Security GWs). The Global Policy software blade can be installed only on a Security Management Container for Unlimited GWs only. The Global Policy software blade is required to add additional security domains. Security Domain for a single VSX Virtual System (CPSB-DMNVSX) can manage one Virtual System only. 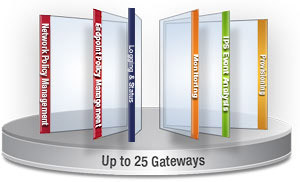 Up to 250 security domains are support per single multi-domain Security Management server. SmartEvent, SmartEvent Intro and SmartReport blades are not support on Multi-Domain Security Management servers. To run these blades, a dedicated server and container are required. SmartEvent bundle size needs to match the Security Management Container size.